Easter Half Term in Devon! Get ready for an Eggstreme Easter at Woodlands Theme Park, Devon! 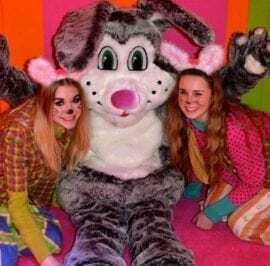 With the UK’s No 1 Easter Bunny Grotto! In 2019 the Woodlands Easter Bunny has been joined by loads of NEW and exciting friends! Get ready for an Eggstreme Easter at Woodlands Theme Park, Devon! The UK’s Number 1 Easter Bunny’s Grotto! Travel through a land of chocolate heaven, take in the stunning views and see the magic of the world of Easter, then meet the Easter Bunny himself and collect your special gift in the Chocolate Easter Bunny’s Grotto. 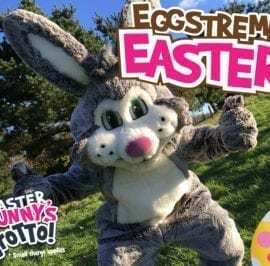 Woodlands Easter Bunny’s Grotto is the first of its kind in the South West where customers will experience an eggstra special eggcounter with the one and only Easter Bunny… The fun-loving Chairman of Chocolate. The grotto costs £4.75 per child and adults can accompany free of charge. All children receive a gift from the Easter Bunny. Framed photo’s with the Easter Bunny are also available for £1.50 each or 2 for £2.50. Please note: filming, photography and mobile phones are not allowed inside the Easter Bunny’s Grotto. You are allowed to take photos when you meet the bunny. Our bunny helper will also take a photo and this will be available framed to purchase for £1.50 each or 2 for £2.50. Please note the Easter Bunny Grotto contains flashing/strobing lights and may not be suitable for all users. For more information please contact us on 01803 712598. 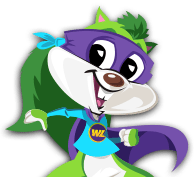 A very happy bunny has been very busy hiding thousands of FREE chocolate surprise tokens around Woodlands for all you chocolate loving kids out there to find. Keep your eyes peeled whilst riding the rides and sliding the slides and you might catch a glimpse of Easter Bunny himself or even better your very own chocolaty treat. They are everywhere!!! So everyone gets to enjoy the fun please don’t take more than 1 token. Join us to make your own Easter creations! Get up close to some amazing animals by joining in the animal activities at Woodlands Zoo-Farm this half term. Daily activities will be displayed on the board in the Big Green Barn. Visit the Falconry Centre for two fantastic flying displays throughout the holidays. We have some fantastic events coming up throughout the holidays which you will make your day at Woodlands even more special. *Full show details to be confirmed. Like us on Facebook for sneak peaks and special news and be the first to hear what’s happening this Easter.